A recent adventure to the Apollo Theater in Harlem USA allowed me to experience one of the treasures which has been the home for many artists from musical genres of blues, jazz, R&B, soul, and hip-hop just to name a few. A talented array of artists and musicians had the chance to make their journey to stardom in this historic treasure. While I’ve walked passed this venue many times, I’ve never taken an opportunity to go inside the doors. Only to see others go in for shows and of course take pictures of myself standing outside the venue. 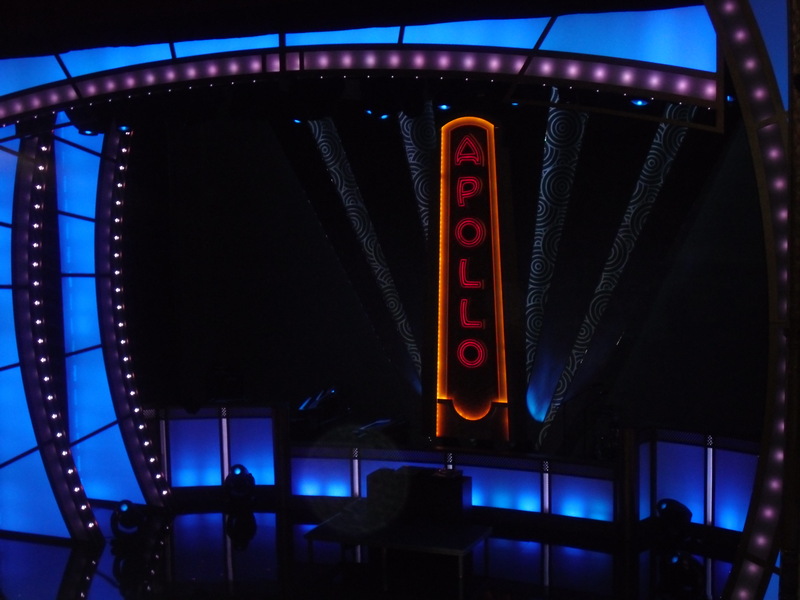 What better way to experience my first Apollo Theater adventure than to have the chance to check out Centric’s new original series, the Apollo Live! Adding a new spin from the Apollo’s Amateur Night this show has a new flair but of course includes audience voting and the infamous “executioner” who escorts the “not so favored” talent off the stage! Hosted by the funny man himself, Tony Rock, the show will include new and exciting elements such as a judging panel including R&B producer/artist Michael Bivins, hip-hop legend Doug E. Fresh, and the “Empress of Soul” Ms. Gladys Knight. If you have ever experienced watching the Apollo’s Amateur Night on television or even live at the Apollo, you know the audience determines if the talent makes it to the next round. If the talent gets an applause, they are still in the running, but if the talent gets the “boo’s” they are dismissed by the crowd and even the infamous “executioner”! During the show, there were a variety of responses from the audience from the contestants who were performing. Some had amazing talent, which took us into our “happy place”, and then there were some who needed to hone in their craft a lot more. No matter who performed, it was interesting to watch the reactions of the contestants as they received the mixed responses from the audience. For the contestants who received the pleasant cheer, they held their head up high. Those who received more “boos” because of their presentation or attire were not so encouraged. I started thinking about those contestants even more than the others because of the negative response they received. Would that moment they shared their talent with us be the last time they would ever perform? Or, would they go on and continue to hone in on their talent to be the best they can be? In life, we get praises for our work, and then there are times where we may not. It’s important that through those “boo’s” we continue to strive for our goal until we can get that pleasant cheer. It may not always come from someone or something we expect, but be open to receive the feedback and be confident that your Showtime is on its way! Posted on July 23, 2012, in Empowerment, Entertainment, Jazzed Inspirations and tagged adventures of all that jazz, apollo theater, celebrities, entertainment, harlem ny, Jazzed Inspirations. Bookmark the permalink. Leave a comment.